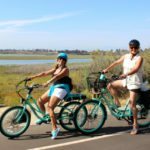 This is a fun electric bike tour among natural surroundings and tranquil waterways. We take a trail set amidst the natural beauty of an estuary—-with a serene bay, meandering pathways and birdlife. On this route, we ride a total of approximately 8 miles. 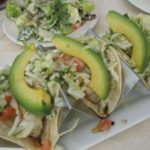 I will also note a few places to grab a quick drink, a bite to eat, and even spots to return another time for kayak and paddle board rentals. As usual, we try to traverse routes that keep us away from most of the busy streets. 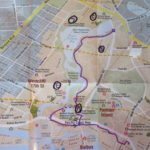 Perhaps print this route, and bring this with you as a guide to help you navigate your way to, and around The Back Bay. 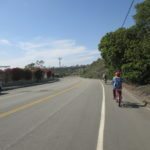 Just to give you a quick overview—- we start this bike route by meandering our way through the residential neighborhood of Corona del Mar, heading north, and then heading east to the nature trail as we explore the Back Bay. 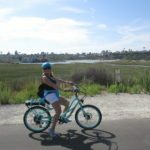 Then we reverse our way back to the Pedego Corona del Mar retail store on a slightly different route. We designed this route to avoid as many of the major roadways as possible. It is just more relaxing that way! When you see RIGHT or LEFT (in all capital letters) that indicates for you to make a turn. Learning About The Back Bay…. 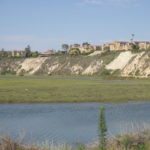 The Upper Newport Bay Nature Preserve and Ecological Reserve represent approximately 1,000 acres of open space. 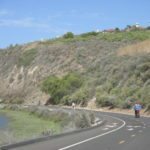 The Nature Preserve is made up of the bluffs surrounding the Bay, with three sensitive species: the California Gnatcatcher, San Diego Cactus Wren, and Burrowing Owl. 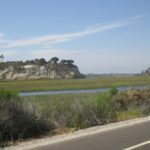 Along the bluffs, grasslands and coastal sage scrub can be found. 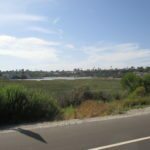 The coastal wetland, one of the largest in southern California, is renowned as one of the finest bird watching sites in North America. During winter migrations, up to 35,000 birds can be using the Bay at one time. 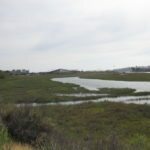 It is home to six rare or endangered species, including the: Light Footed Clapper Rail, Brown Pelican, Belding’s Savannah Sparrow, Black Rail, Peregrine Falcon and California Least Tern. 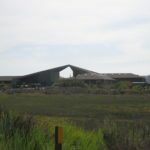 The Bay is home to one endangered plant species – the Saltmarsh Bird’s Beak. 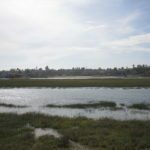 Considered a “critical estuary” habitat— Upper Newport Bay is one of the most pristine remaining estuaries in Southern California. -Before leaving, confirm what time you will be returning to the store, and what time the store actually closes. Get your loaner helmet and slather on some sun screen. You can also ask to borrow a bike lock; however, I never let the bike out of my sight. -A Quick Reminder for your Safety: Always watch for cars, and especially when you are riding on the sidewalks (where permitted). Cars may not expect you to be riding along on the sidewalks, let alone at 8-10 mph. I also notice that they often drive right up past the cross-walk before stopping their car. This can be quite dangerous if you happen to be passing by at that exact moment. Be alert. Make eye contact. Use your bell. Don’t just assume they see you and will stop. Just sayin’! 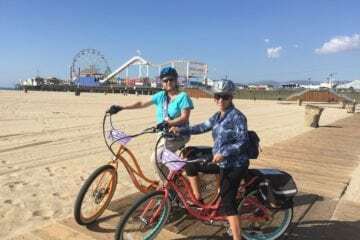 -Departing from the Pedego Corona del Mar retail store on PCH, we head north, and make a LEFT turn on the very first street, Carnation Street. -At Fourth Street we make a RIGHT turn and continue north all the way to Avocado Street. Cross this street, which has a median strip in the middle, while also watching traffic in both directions. -On the other side of Avocado Street, there will be a large office building parking lot. Ride through this lot and at the other end of the lot, veer to the RIGHT and then LEFT up onto the wide sidewalk heading north. PCH will be to your right. -There are no retail shops along this sidewalk, and for the most part it has a large, wide pathway on which to ride. There is a large wall to the left, sheltering the residential homes on the other side, and PCH is to the right. The path is shaded by large trees, so it is a comfortable ride along this stretch which runs for at least a mile. -At the corner of Jamboree Blvd. and PCH you can peek down Jamboree to the left and catch a glimpse of Balboa Island below. However, you will want to make a RIGHT turn, crossing PCH and continue riding along Jamboree Blvd. down a slight hill toward the east. There is a bike lane noted on the street, or you can ride on the sidewalk, which is wide and very manageable. -The next corner there has a traffic light at Back Bay Drive. You will be making a LEFT turn at this light and then work your way to the other side of the street going with the flow of traffic (and heading north). 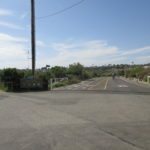 On the left you will notice the entrance to Newport Dunes and through that guard gate you can also detour, turning to the right and head down to the far end where Back Bay Bistro (a restaurant) is located. -Continue along Back Bay Drive and the street will wind around to the right. At the far end is where the bike path begins. To the left will be the Back Bay Science Center. You can check the web site at the end of this article for more information on this organization and the programs they may have on the calendar. It is not open to the public each day, however does conduct many educational programs. 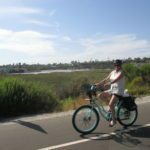 -Once you are on the bike path, this is a lovely, leisurely ride up the south side of Newport’s Back Bay. It is peaceful, there are birds chirping, and the tall grasses are waving in the light breeze. The water shimmers in the sunlight. The bike path is well marked and a joy to ride along for 2-3 miles. -Toward the end of this trail, you will reach a small hill. Heading up this hill, the bike trail ends at the street there on Eastbluff. It is near the intersection of Jamboree and University, and the street name changes—University turns into Eastbluff. -1) To the RIGHT- If you follow this along to the RIGHT, you will find a supermarket, two restaurants, a pizza and frozen yogurt shop, and a pharmacy in a compact mall setting. -2) To the LEFT- You can also choose to make a LEFT turn, cross the bridge along Jamboree, and work your way through the residential neighborhoods to the other side of the Back Bay. However, there is no formal bike trail. 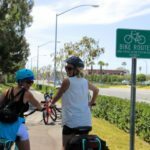 Once riders arrive at the Peter and Mary Muth Interpretive Center on the other side of the Bay, there is a bike and jogging trail for a mile or so, along Irvine Avenue. You can continue down to Dover Drive and pick up PCH north of the Back Bay. -3) To Reverse Back- We typically turn around when we reach the end of the bike trail, and head back in the reverse direction. This scenery never gets old. We always seem to find new things along the way. 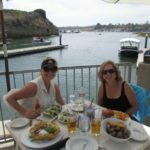 -If you do decide to reverse direction, there are two choices when you reach Newport Dunes. 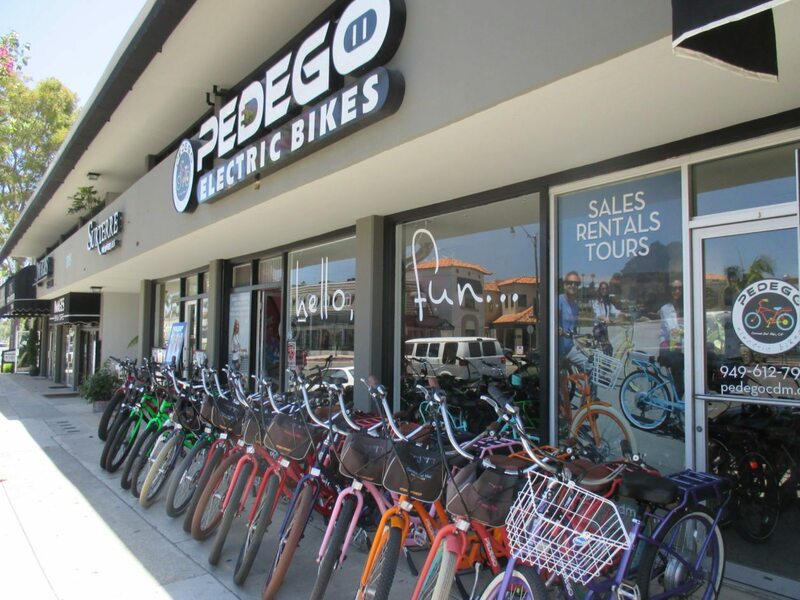 1) You can continue exactly the way they came, and head back to the Pedego Corona del Mar retail store. Or, 2) You can enter Newport Dunes, go across a bridge to PCH. (If doing option #2, you would go through the main gate, turn RIGHT, and head toward the water—- through the parking lot. There are picnic tables with wooden structures above them, and a large white bridge that crosses the lagoon). 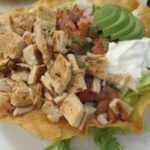 -On our Bike Tour, we stopped at Back Bay Bistro to enjoy a delicious lunch and a quick visit on the patio. We watched boats being launched into the water and all kinds of activity. 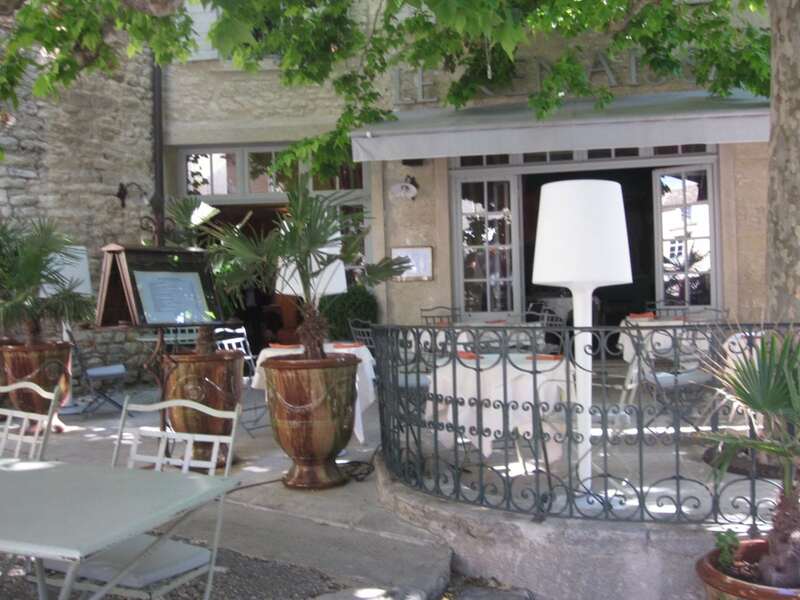 This is a great spot for lunch, happy hour, dinner or a “slow it down” Sunday brunch. 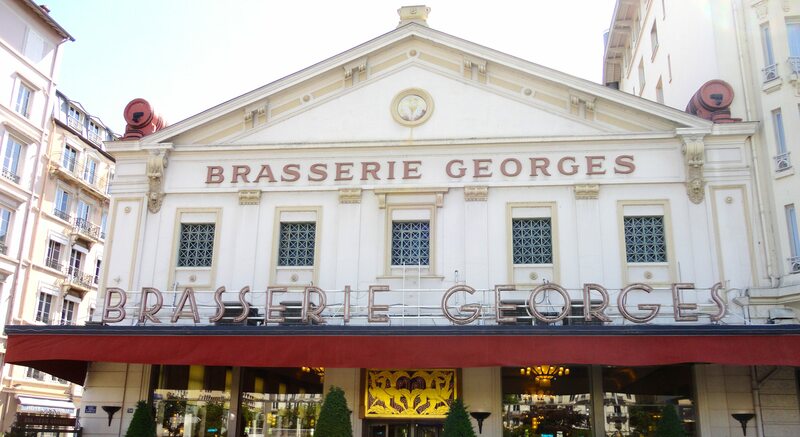 And on Thursday evenings they have LIVE JAZZ MUSIC from 6-9PM. 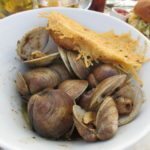 Here are the items we enjoyed at Back Bay Bistro, and photos are below as well. The lunch and dinner menus are quite expansive—so many choices! 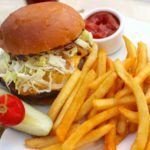 -Bistro Burger $14- Brandt Ranch Sirloin (8oz) with sautéed Onions, sliced Tomato, chiffonade of lettuce, Cheddar Cheese on a Brioche Bun and served with fries. Lynn Selich and Teri Sawyer (L-R)Lunching! -Returning to the bridge, you will notice (to the right) Pirate’s Coast Paddle Company. They do kayak and paddleboard rentals. On the other side of the bridge continue straight and this street turns into Bayside Drive and gently curves around to the left, with a Guard Shack along the way. Continue on this road, which is not too busy, down to PCH. 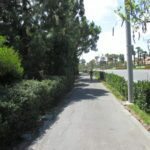 At the intersection of PCH and Bayside Drive, you will cross PCH at the light there, and make a LEFT turn to then head back up the hill on the sidewalk. -Once you reach Jamboree, you will recognize this as the intersection where you previously had crossed over, and down the hill to Back Bay Drive. -You will continue along PCH on the sidewalk, and return to the retail store utilizing the reverse order. This means going through the business parking lot, across Avocado Street, and down Fourth Street to Carnation. 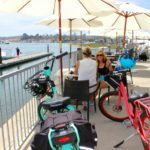 With a LEFT turn at Carnation, and a quick RIGHT on PCH, you will find yourself right back at the Pedego Corona del Mar retail store. 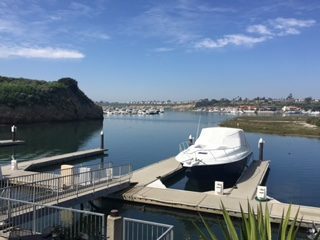 Lovely views and outside patio near the launch ramp with lots of boating activity and a great dining experience from appetizers and salads and complete entrees. The wrap-around bar offers the perfect viewing spot for stellar sunsets. Jazz Music Thursday evenings 6-9 PM even in Fall!!! 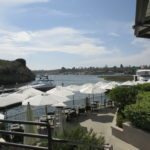 -The Marriott Bayview has just undergone a renovation of their terrace and restaurant, creating lovely fire pits and conversation areas overlooking the Back Bay. The restaurant, The View Restaurant serves breakfast, lunch, dinner and offers a great selection of appetizers— just perfect for sharing. This Interpretive Center features an impressive 10,000 square foot educational facility that was built into the side of one of the bluffs on the north side of the Bay. It offers panoramic views of the Bay, yet is nestled quite unobtrusively. Many local residents are still unaware that it is even there. 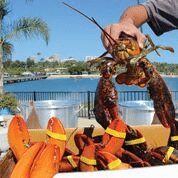 They offer classes, family programs, guided walking tours, and have a series of exhibits and interactive displays that make the Bay come alive. Visitors learn about life in and around an estuary and why Upper Newport Bay is such an important estuary. The center is open from 10:00am until 4:00pm Tuesday through Sunday. Admission and parking are free. For more information, visit the web site, or call (949) 923-2290. 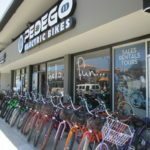 Pedego Corona del Mar has a great selection of bikes for sale, and do all kinds of repairs, add accessories and upgrades too. They also rent bikes for $14.00 per hour, or $50.00 per day. 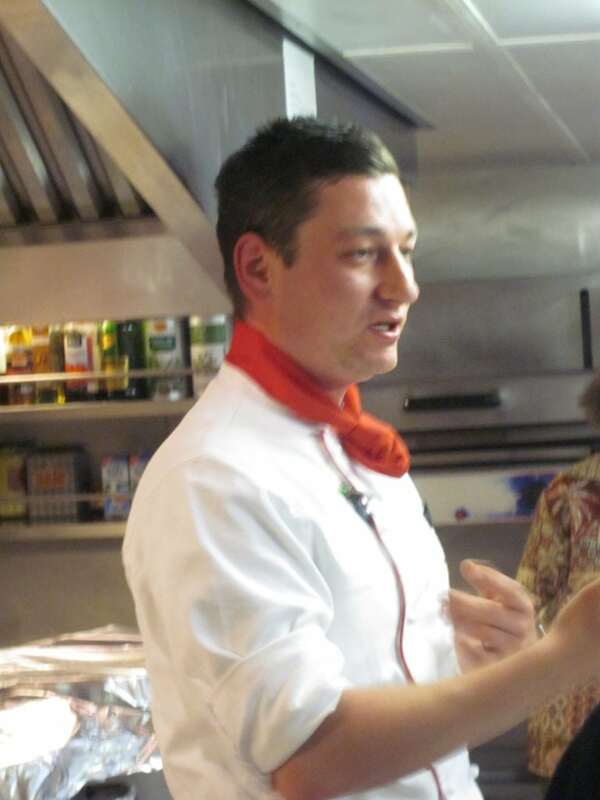 They conduct private tours for groups of 2-8 guests for $69 per person, for 2.5 hours. On our recent visit they were leading a tour of 45 guests in groups of 8 or so, on a four hour custom tour from one of the local hotels. So the possibilities are endless and this team is so wonderful to work with. For all the geeks in the room… Pedego is an electric bike with a flat black box of a battery that is locked in place just above the rear wheel. The best part of all is that it rides just like my regular beach cruiser. The bikes are available in a plethora of bright, fun colors—I count about 20 of them. Riders swap out fenders of different colors and just have fun with designing their custom bikes. It is really a kick to see all the creative ideas. 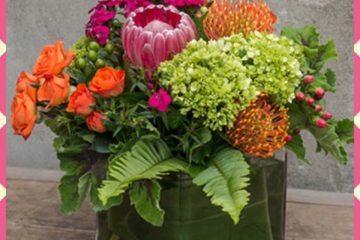 I have a link for specs and particulars below but as a lady who just likes to “keep it simple”—- here is how I have simplified the many options and styles. Style-wise, there is the “Comfort Cruiser” (a step-thru bike with a lower bar in the middle). We used to call that a girl’s bike, but the benefit has now expanded to those with limited mobility, the “Interceptor” (both step thru and with bar), “City Commuters” and “Trail Trackers” with the wider, super-fat tires. And everyone wants to know about the bikes range. That really depends on a few factors—your weight (the drag) and the grade of the surface you are riding, as well as the head wind. If it is flat terrain, and you are about 180 pounds, riders can expect approximately 20-30 miles of range with little wind resistance from a 10 amp-hour battery. A 15 amp-hour battery will deliver about 10 more miles per charge. The battery is available in 36 volt and 48 volt, with the latter providing more thrust to carry you up the really big hills. Pedego has just thought of everything, haven’t they? There are two saddle bags which are add-ons, for those wanting to carry light packages home on their bike. Owners can add lights, rear-view mirrors, phone holders, speakers to play music, water bottle holders, and the list goes on. And for those wanting to tug things, they offer a custom trailer for surfboards and even for carrying children in tow. (And for towing super-heavy items, there are even bigger tires.) They even have a tandem bike! Visit www.pedego.com for more information. 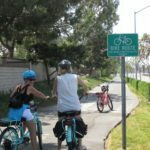 Please note that this Bike Route is offered as a “suggested route” to avoid traffic, explore the area, and enjoy a marvelous daytime ride on Pedego electric bikes. This is in no way an endorsement, or any guarantee to safety while riding. Each bike rider needs to wear a helmet, obey all signs and guidelines for riding, know their own capabilities, and watch for all cars and traffic. Watch for cars that drive right up past the cross-walk before they stop. We notice more and more doing this. If traveling on the sidewalk, it is important to make eye contact and be sure drivers see you coming. You, the rider, are responsible for your own safety. Basically, don’t do anything stupid. 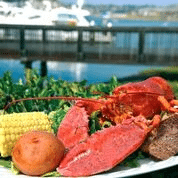 Back Bay Bistro-Newport Beach—Spring Menu & Special Events Too!